Actually the synthesiser seemed to work to a certain (pretty low) volume level correctly, but at a higher volume level started producing clicking / buzzing / overdrive noise. The problem was getting worse by lowering tones and making the volume higher. 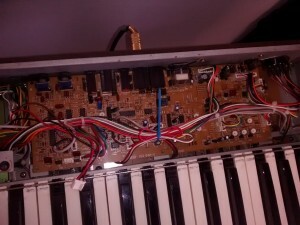 My initial suspicion was that something in the analog amp / mixing section (shown below) was causig the overdrive effect. 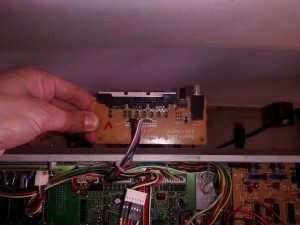 We tracked the signal from the audio output jack to the corresponding DAC, however we were unable to find where the distrortion started – it seemed that the DAC was already giving out a distrorted signal. 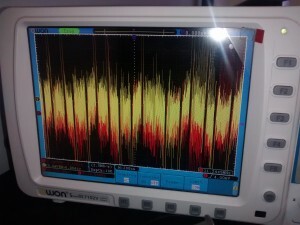 This was confirmed when we disconnected the analog section altogether and measured the signal at the output of DAC. 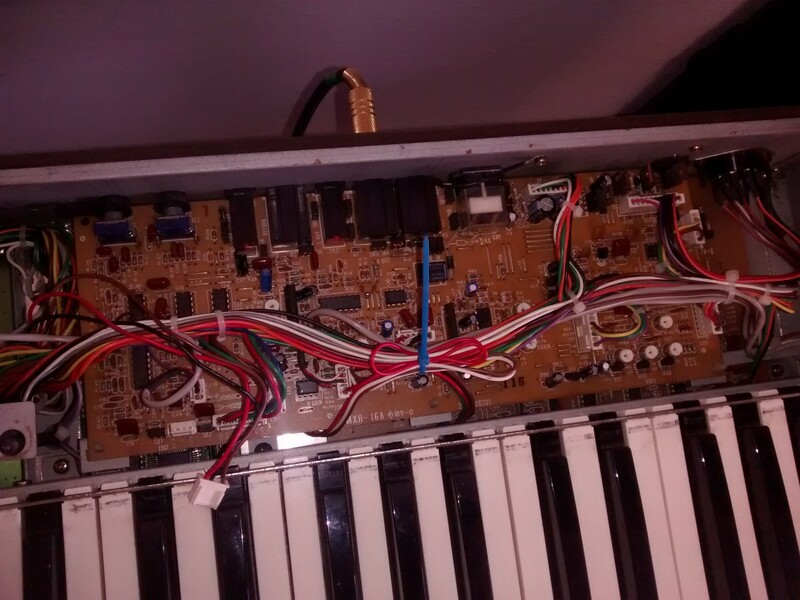 The Hammond XB2 has two identical DAC chips, but they are responsible for different things. One is located on the mainboard and the other one is on its own board. 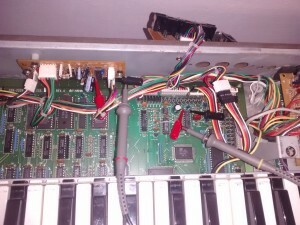 To access the DAC on mainboard and connector to the second DAC you have to temporarily remove the MIDI input/output board shown below. The connectors are otherwise hidden under it. Conveniently signals to drive both of the DAC-s are all available on the connector for the separate DAC. The DAC that was misbehaving was the one present on the mainboard. The offboard DAC was rewired (easily done using dupont cables) to the same signal the onboard DAC was receiving, to see if maybe the DAC chip itself was at fault. 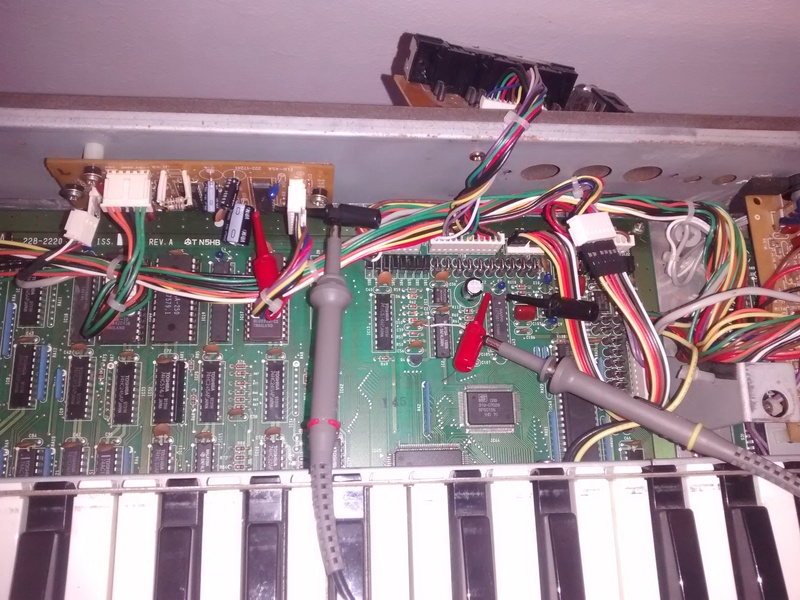 Unfortunately after rewiring both of the DACs were showing the same behaviour so we could rule out DAC fault. 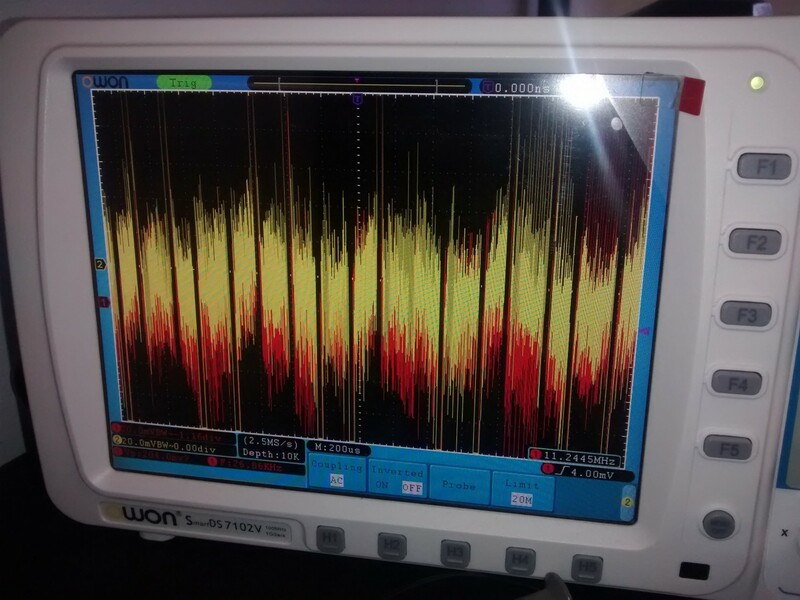 We also probed a bit around the digital signals using oscilloscope to see if there were any obivous signal integrity issues, but couldn’t find any. Most probably the digital signal coming from the Muse chip already contained the distrorted information.